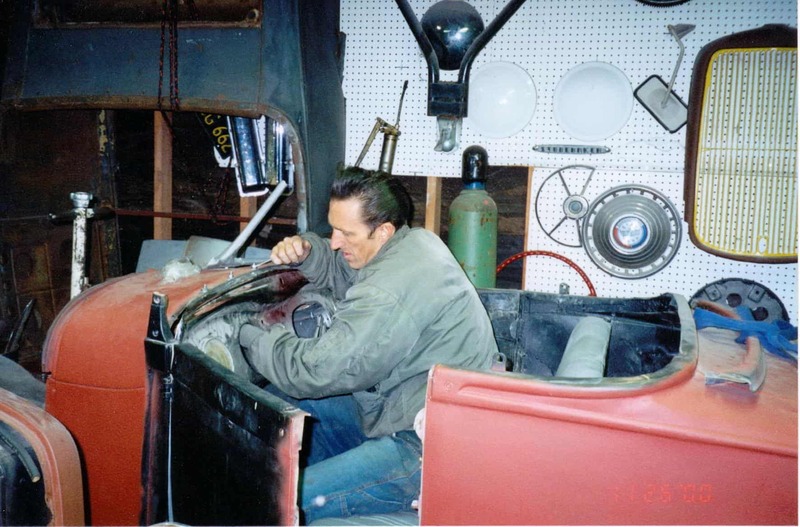 On Sunday, Jennifer and I will be attending the Grand national Roadster show, of which I was lucky to WIN trophy’s Three times for my Cafe Racers, but, I have always been into Hot Rods and back home in the 80’s I had my very own three Window, chopped and channeled 32 Coupe. 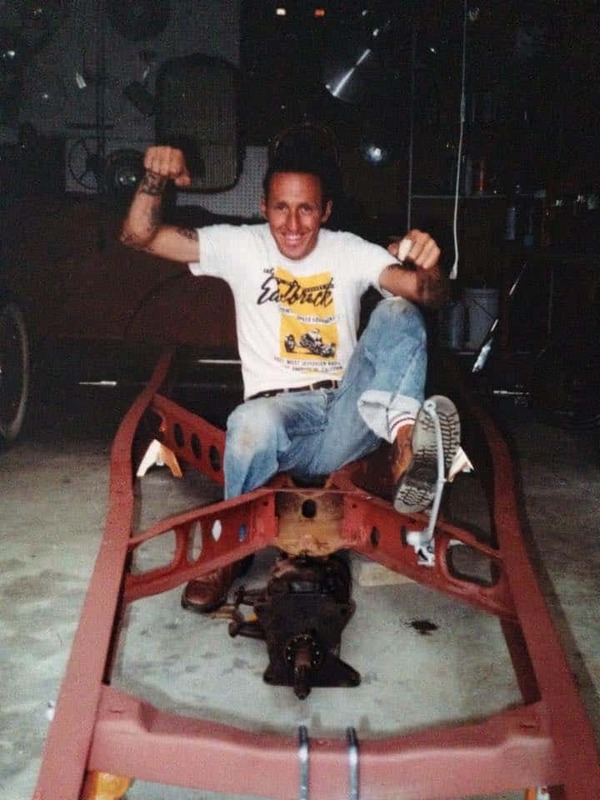 Well, I now have a stock 1929 Model A Roadster, More Rust than I really had thought and needs a total strip to the frame and will fit a flathead etc and what I have been looking for is a cool color, I love Black but many out there, I love Blue but built a 29 Roadster in early 2000 and that was Blue. This was a great ride but had to sell it when bills at the house got out of control and I sold it and it ended up in Japan where it still is today. 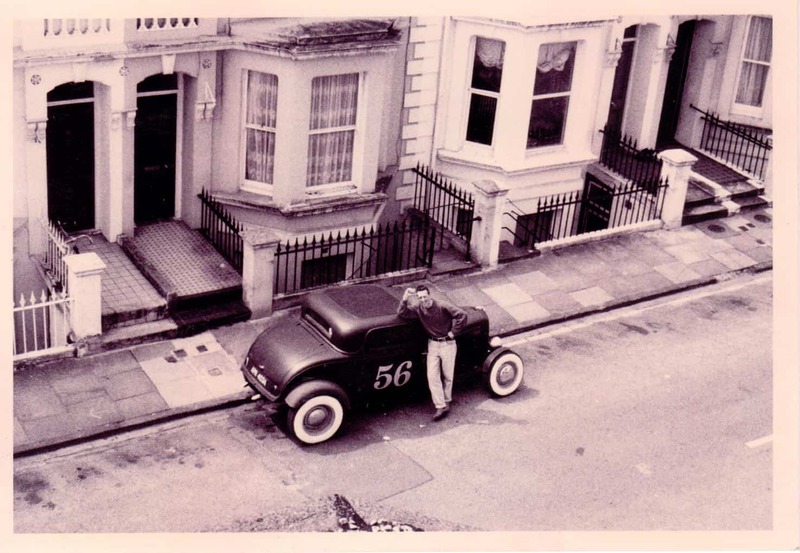 I am hoping to get the Roadster into a Vintage style by Next year with any luck and of course, in Memory of my Dear Mum of which if it wasn’t for her, I would not be here. So I have been looking at Car shows with Jennifer and of course any where I see a Color that jumps out at me to try and think of what would look great on my Hot Rod. 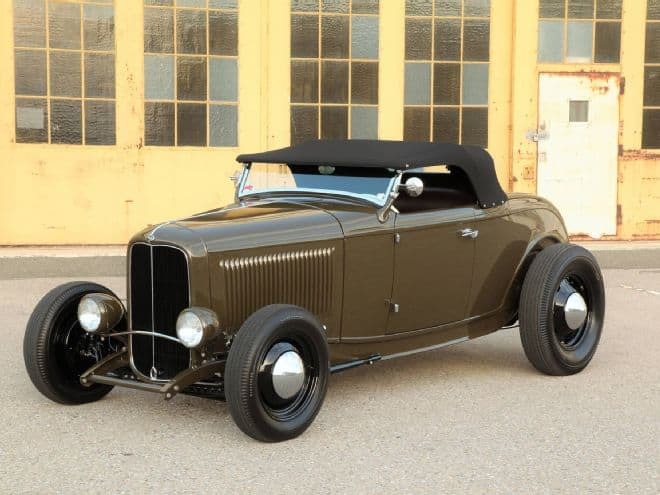 Jennifer and I both thought a WW2 style Green would be different then I saw a buddy I know has just completed his 32 and painted his Green, and this was the color I looked for over the months, so may have to go a little darker, but this 32 Roadster is so nice I had to share it with you all. I love this Hot Rod and am sure you do too. This weekend and Its going to be a super show with many cool rides for everyone. Mine will never be as cool as this but will have fun with my ride for sure so, wish me luck.here is mine right now. she needs tons of work but it will be a fun machine later. 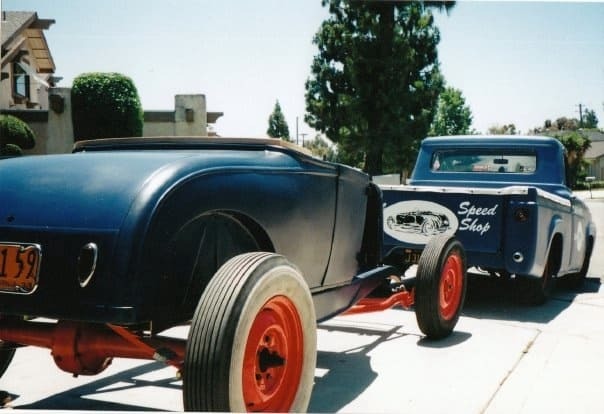 Below is what HOT ROD wrote about this super cool set up and I wanted to share this with you today, if you are at the GNRS on Sunday drop me a text or message as I shall be there with Jennifer and would be awesome to see you. 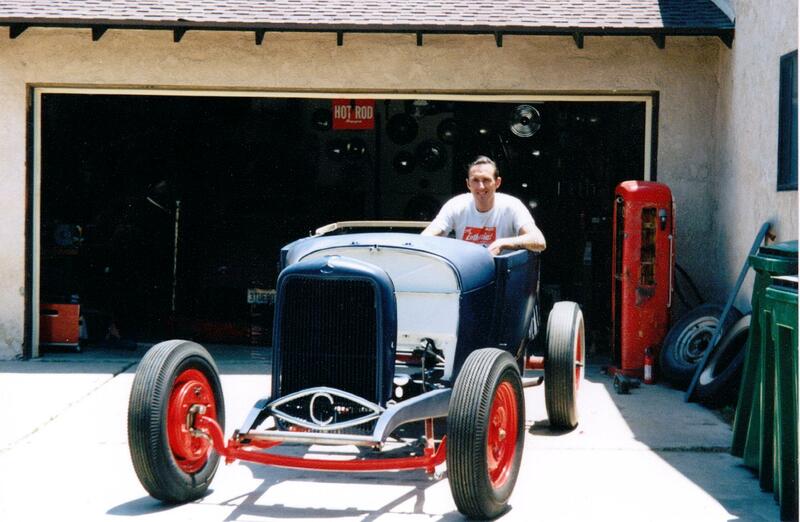 This entry was posted in Blog and tagged 21 stud, 24 stud, 36 dash, 39 box, 40 ford, av8, Beam axle, BLC, carpyscaferacers, coupe, Deuce Grill, Duvall, Edelbrock, Evans, flathead v8, flatty, grand national roadster show, guide, Halibrand, hot rod, Juice Brakes, Kelseys, McCullough, model A, model B, nerf bars, nhra, pendine sands, roadster, sidevalve, SoCal, speed shop, stromberg, vhra, wally parks, wish bones.